When commercial law firm Campbell Killin Brittan & Ray LLC (CKBR) found their staff were spending more time managing emails and various versions of files than advising clients on transactions, they knew it was time to look for a better solution. The Denver-based firm selected Workshare to help its 15 partners and associates manage the many files, versions and documents required to close out the dozens of single lender and syndicated loan transactions they carry out each year. CKBR looked to Workshare in mid 2015 and trialled Workshare Transact on a $225 million syndicated real estate transaction. 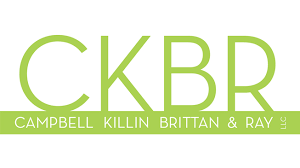 “We needed a quick and easy way to manage multiple documents for the benefit of all parties involved” said Skylar Marshall, Associate at CKBR. Since then, CKBR has run the majority of its finance matters using Workshare Transact - an estimated 50 transactions, involving more than 150 external participants. The online workspaces used to manage deal checklists are set up for each deal and provide CKBR with a single, central place to draft versions of agreements, deliver fully executed versions, schedules and signed documents, which can all be exchanged between the deal parties in a secure, structured and organized way. Following the close of each deal, CKBR uses Workshare to quickly create their closing binder – leaving them free to move on to the next matter. Before Workshare, CKBR traditionally ran their deals entirely through email. This led to confusion over which was the most recent version of a document, inboxes were overloaded with files and there was a lengthy post-closing exercise. These problems were all removed by simply running the deal through shared workspaces in Transact. CKBR’s client praised the experience of running the deal through Workshare, in particular the improved access to and visibility over the transaction files and status.